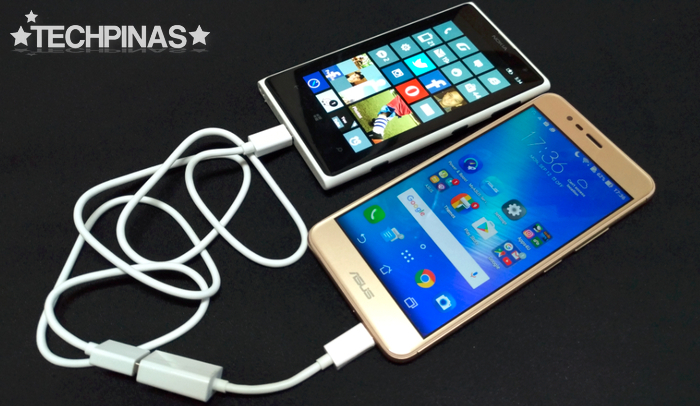 Did you know that you can charge other devices using your Asus ZenFone 3 Max or Asus ZenFone Max as if your handset were a powerbank? This is called "Reverse Charging" and given the sheer size of these smartphones' battery pack*, I think it's great that Asus bothered to add this useful feature to them. *Asus ZenFone 3 Max has a 4,130 mAh pack while Asus ZenFone Max is powered by a massive 5,000 mAh battery. If you own either of these handsets, you can enjoy this nifty functionality simply by using the cables that are provided in the retail package. It's totally uncomplicated and very easy to use. 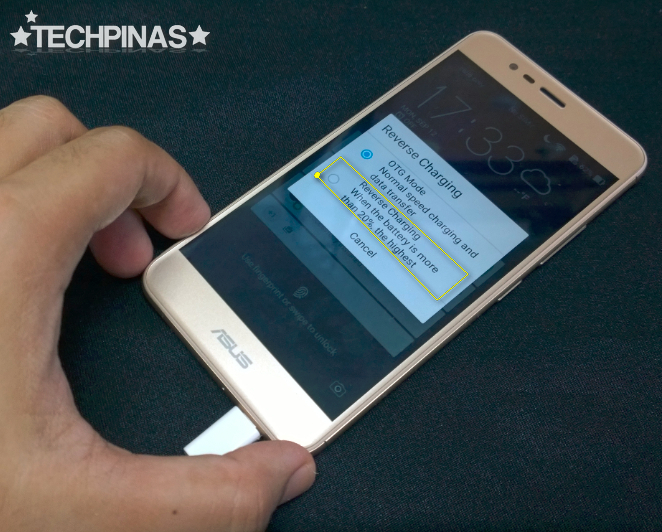 For Asus ZenFone 3 Max owners, simply plug in the microUSB-to-USB-Female cord to your handset and wait for this notification to pop out. 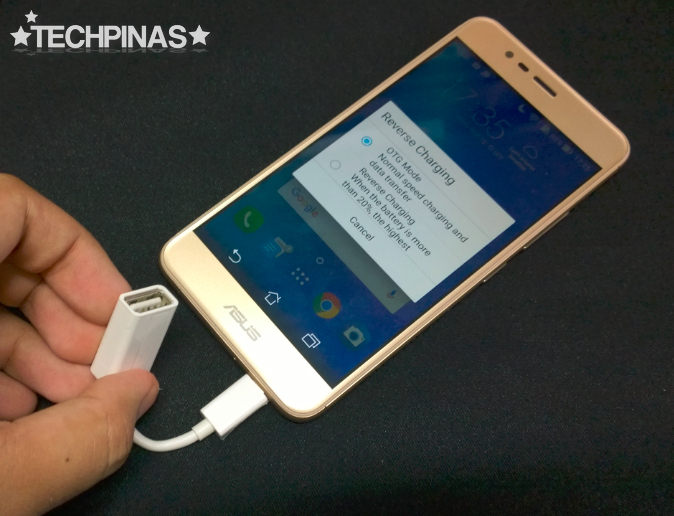 Choose 'Reverse Charging' option and connect your other mobile device to your ZF3Max via microUSB-to-USB charging cable as shown in the photo below. 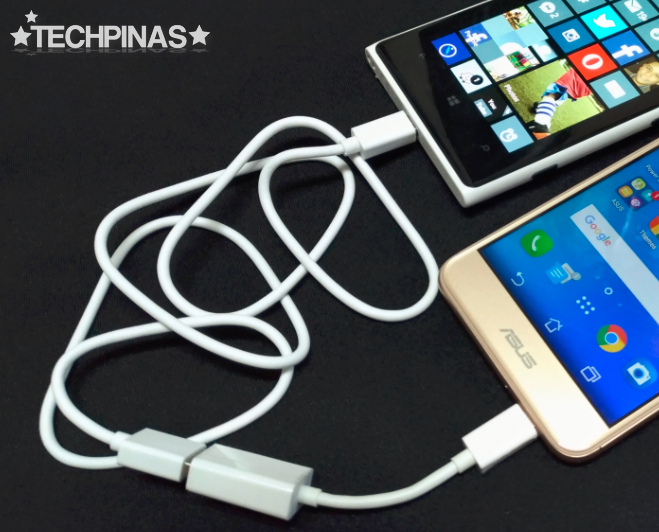 Asus ZenFone Max owners won't get the same notification and as such, they can immediately connect their other device to the smartphone via the wires to begin charging. Note that Reverse Charging will only work if your battery charge status is higher than 20%.